Hello crafters, Julie here. 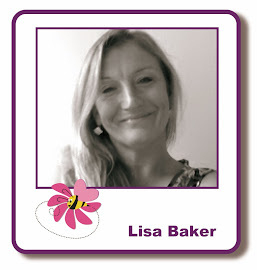 It's great to be back on the Lisa B Designs blog, January turned out to be unexpectedly busy for me and I missed doing my blog posts. As Friday's classes were about playing with alcohol inks this is the topic for the month here on the blog. This was the first time I've had a play with these and I loved creating the backgrounds, I just wasn't so keen on stamping on them! I started with a piece of Yupo and zigzagged some Honeycomb alcohol ink over this. I used felt on my applicator tool to spread this evenly on the Yupo to create a main background colour. Then the fun began with adding dots of alcohol ink around the edges and watching what happened. First I added Flamingo alcohol ink, then Amethyst and lastly some Juniper. I then added some alcohol blending solution to the felt and started working it on my background until I was happy with it. blending solution to bleach out the area for the moon. When dry I cut the Yupo background down so it was square as I wanted my finished project to be on a square card. 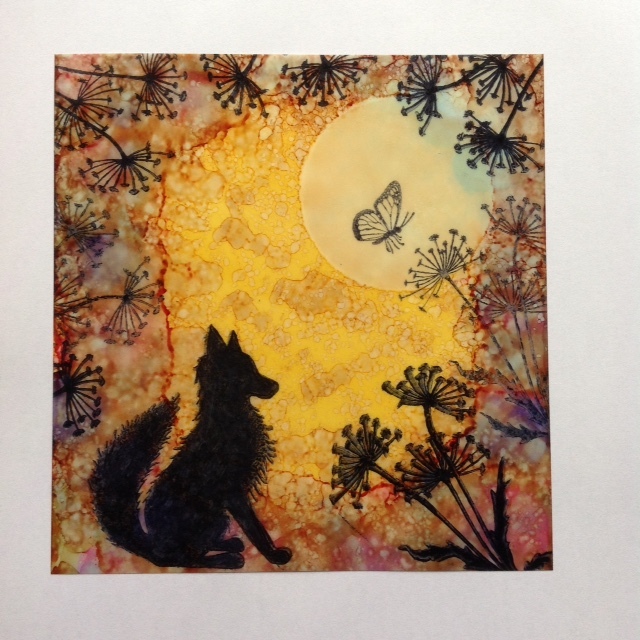 The stamps I used on my created background were: Fox 1, Flutterby (mini) and Dandelions 2 to edge in, all of which are Lavinia stamps. I used Jet Black Archival Ink but beware when stamping as the Yupo is a very slippery surface, as I found out! To finish off I mounted the Yupo onto some brown Mirri card and then onto my square card blank and I added a little crystal Stickles to my butterfly so the light caught it. I hope you like my make today, see you next week for another alcohol ink card. Fab card, I love the colours too.